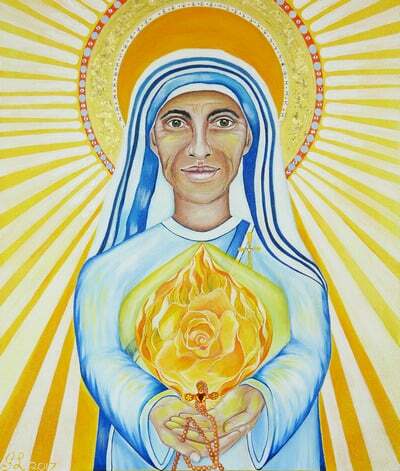 This art print of Saint Mother Teresa emanates her light from the 9th Ray, her shining halo of divine Mother. She holds the rosary in prayer for the innocence for all of us. Her hands are cupped in sending light from the rosary flame around her solar plexus and heart centre. She is looking directly into the innocence of your Self. 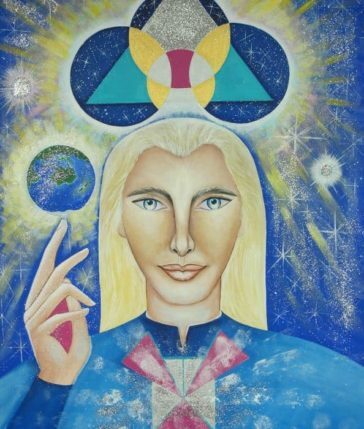 Saint Mother Teresa is connected to the divine temple of holy Mother’s in Atlantis. 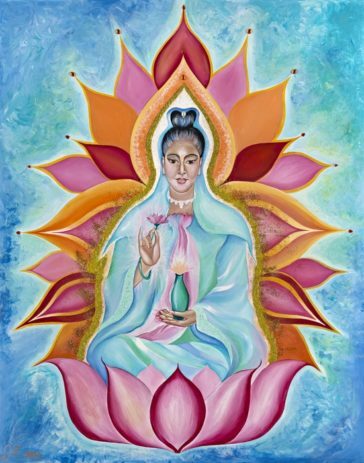 Her connection to help the innocence in us for its purity and understanding to have the freedom, like our childhood, to acknowledge the compassion from self-Love into our inner child, to create joyful, playful, expansion.